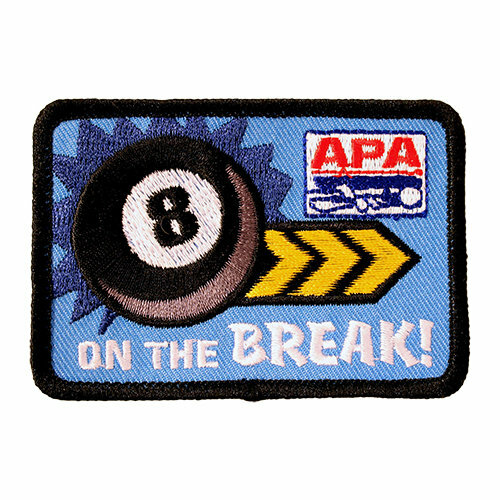 When an APA member wins the lag, then every rack of their match - be sure to write a note in the Memo Box of the paperwork, so they can receive this patch! Sink the 8 on a break, without scratching (during league play) - and you've just earned yourself this patch! When an APA member, during regular league play, breaks and runs the entire 8-ball rack. 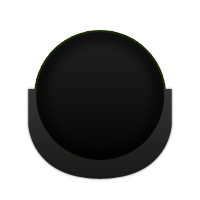 At Tri-Cup, LTC, or National Tournament - Win the lag, then every rack of your match - receive this patch! Let's be honest - it can be intimidating to play a higher level player, especially a SL7. But - if you are a SL4 or lower, stick to your guns and beat an SL7, then bring home this patch! 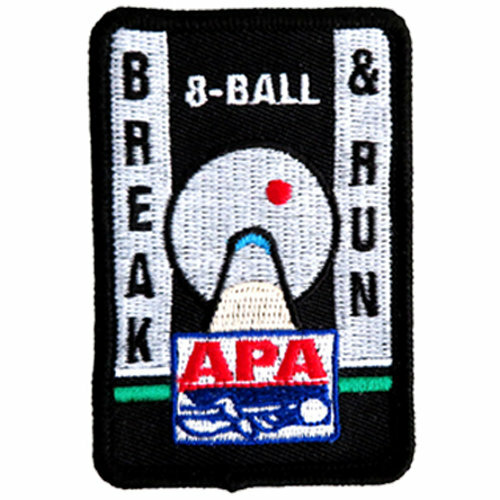 When an APA member sinks the 8 on break, and also gets a Break and Run in the same match - earn a Mini Slam patch!